Probe for 23 mm o.d. sample tubes. 1H NMR relaxometric and diffusion experiments at 23MHz. Probe for 10 mm o.d. sample tubes. 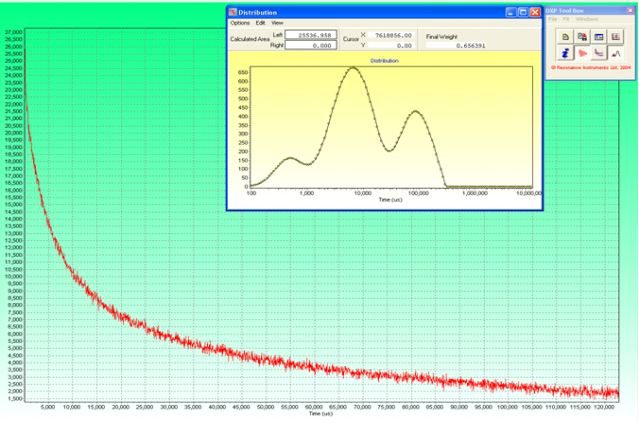 1H NMR relaxometric and diffusion experiments at 23 MHz. Variable temperature from -30 to 150 °C. Probe for 23mm o.d. sample tubes. 19F relaxometric experiments. 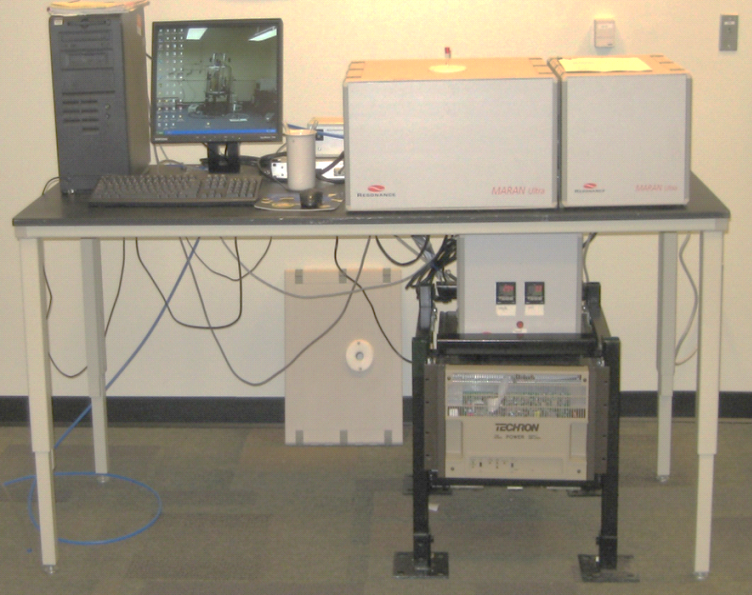 RI NMR for the control of the instrument. WinFit for fitting multi-exponential relaxation data. WinDXP for model-free fits of multi-exponential relaxation data.